In bedrooms, bathrooms, and any other spaces where your neighbors may have a view, adding privacy is an essential task for window treatments. We recommend Roller Shades, Roman Shades, and Drapes as treatments that offer excellent functionality, allowing you to easily open and close your shades or drapes daily or as often as needed for the right amount of light and protection. At The Shade Store, we offer a variety of privacy and blackout linings as well as blackout materials to help you create the perfect dressing for your windows. Keep reading to see which type is right for you. For the highest level of privacy and complete light blockage, blackout shades are the way to go. These shades create a dark environment perfect for better sleep in the bedroom, darkness for a media or television room, or they can intercept bright sunlight streaming into a room in the morning or evening. In the photo above, a Roller Shade in Bond is accompanied by Pinch Pleat Drapes to prevent light seepage from the corners of the shade. 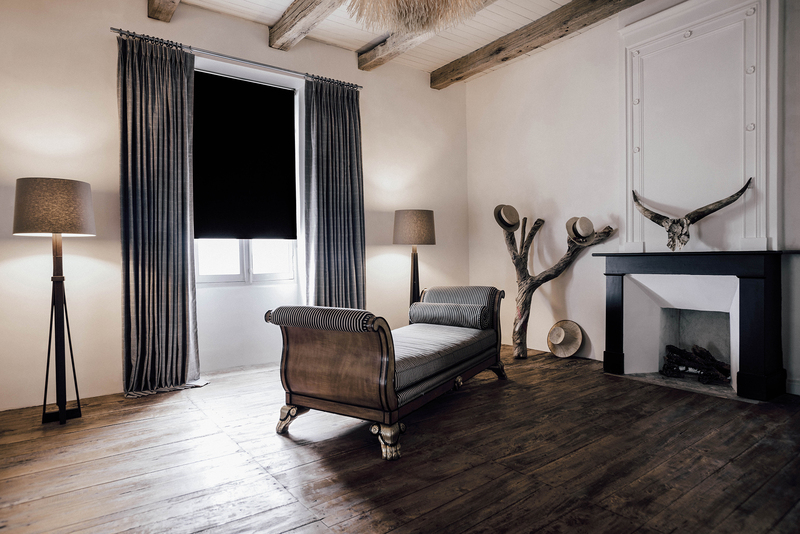 Bond is one of seven blackout materials available for Roller Shades, which include both solids and prints. The best part about our blackout shades, however, is that you can achieve blackout functionality without requiring dark shades. 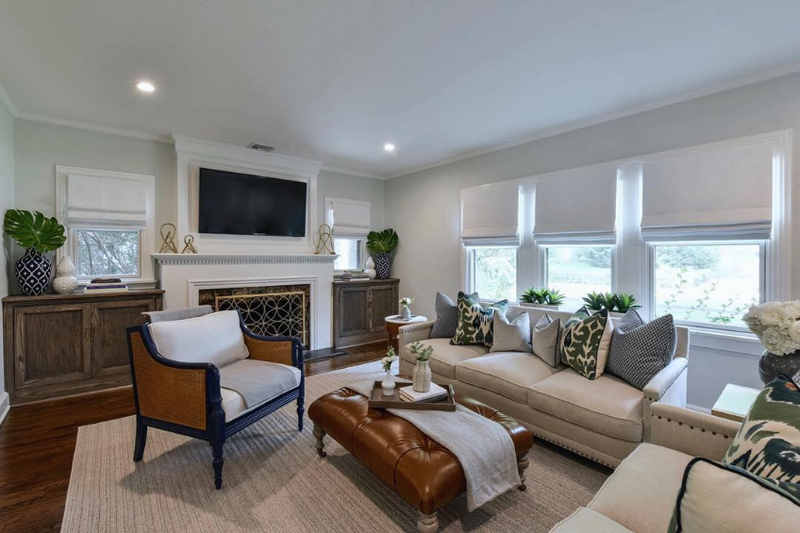 Julie Kantrowitz of JK Interior Design selected Flat Roman Shades for the living room pictured below, and chose white to keep the windows light and bright and coordinate with the white trim. When choosing your shades, keep in mind that linings can be added to any Roman Shade at no cost. When choosing Roman Shades and Drapes, our lining options allow you to add body and substance to almost any material and create the ideal privacy window treatment in your favorite color and pattern. Privacy linings do double duty on shades and drapes; the added layer makes the window treatment more opaque while also protecting the treatment material from fading in the sun. For additional insulation, select the heavier duty privacy + interlining option that features the standard privacy lining plus cotton flannel. If you have any questions about linings, our expert Design Consultants are ready to help. Tell us about your room, the level of privacy you need, and your home decor style, and we will put together the ideal window treatment for your space. Visit a showroom near you or give us a call at 800.754.1455.